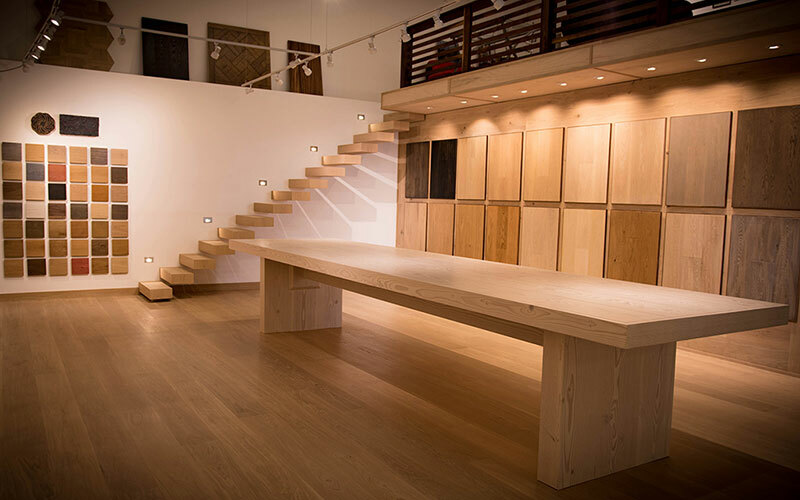 One of our commercial projects is our own showroom which we remodeled from an empty warehouse. 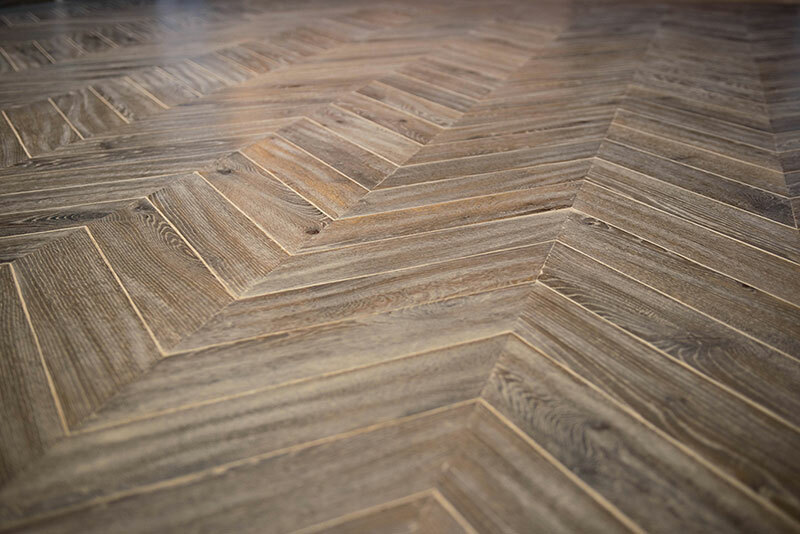 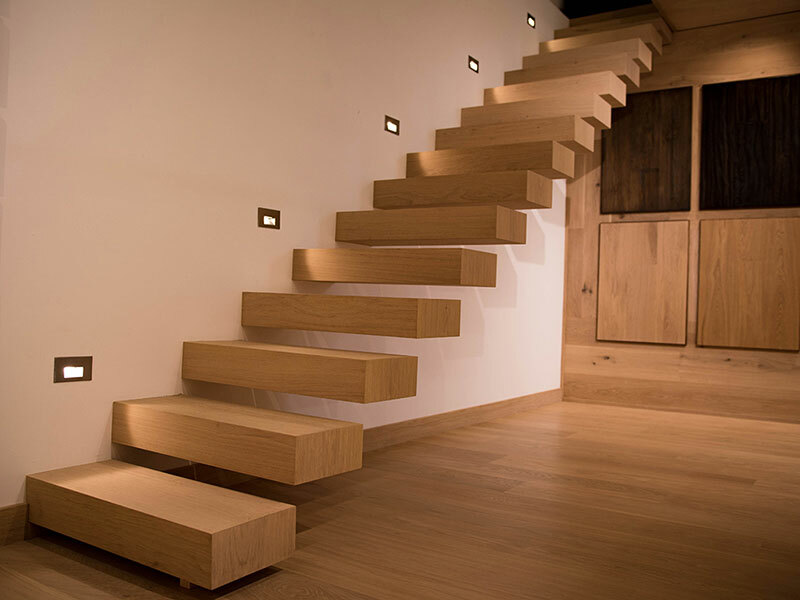 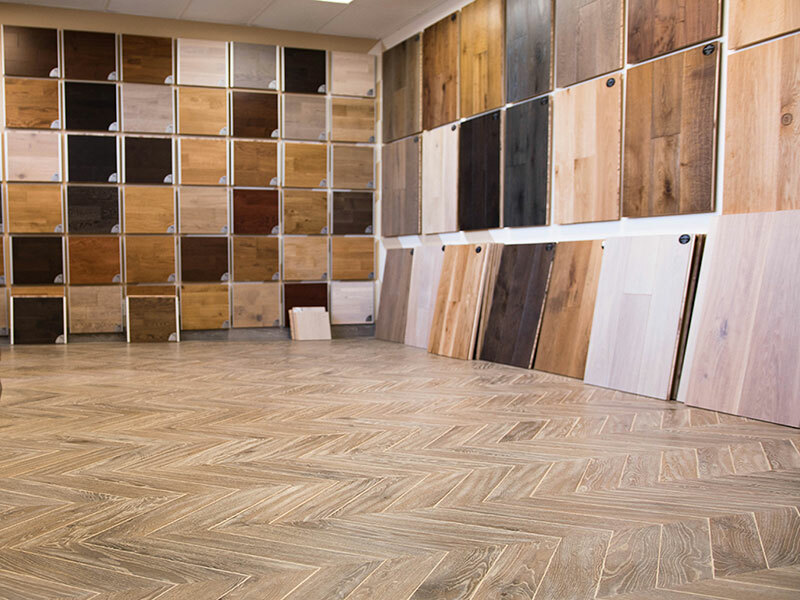 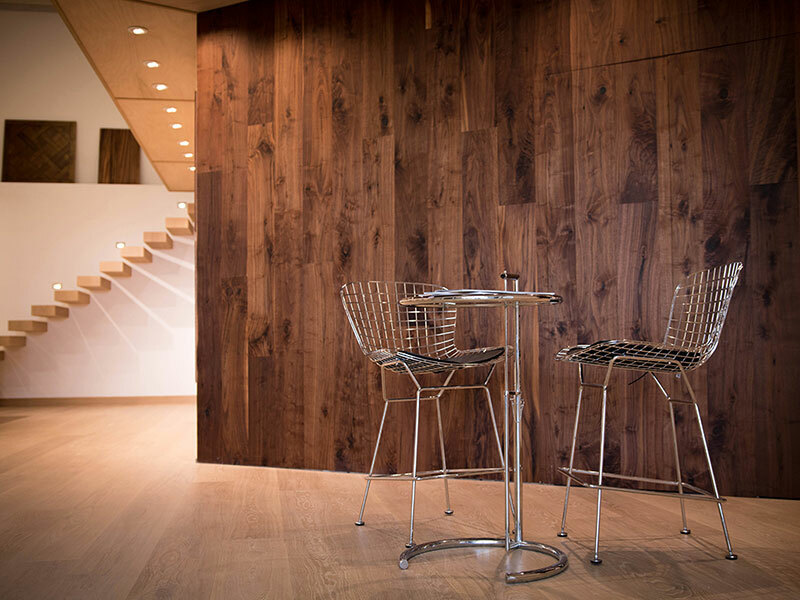 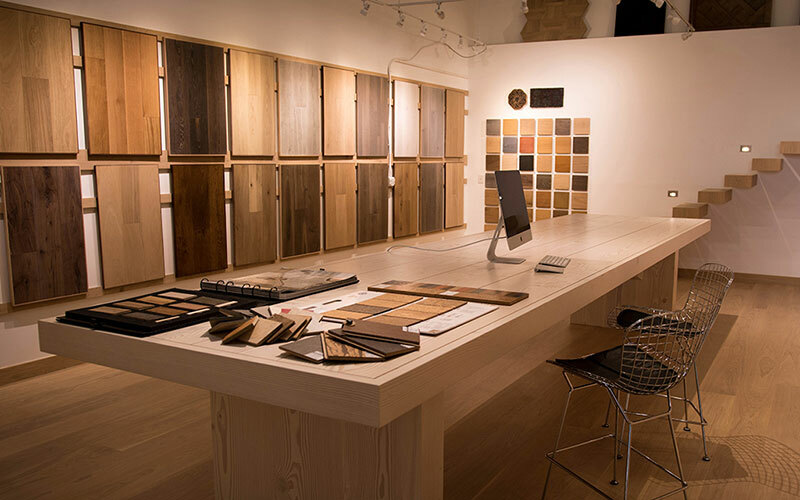 The flooring material is French Oak with width of 12″ and lengths ranging from 2′-10′. 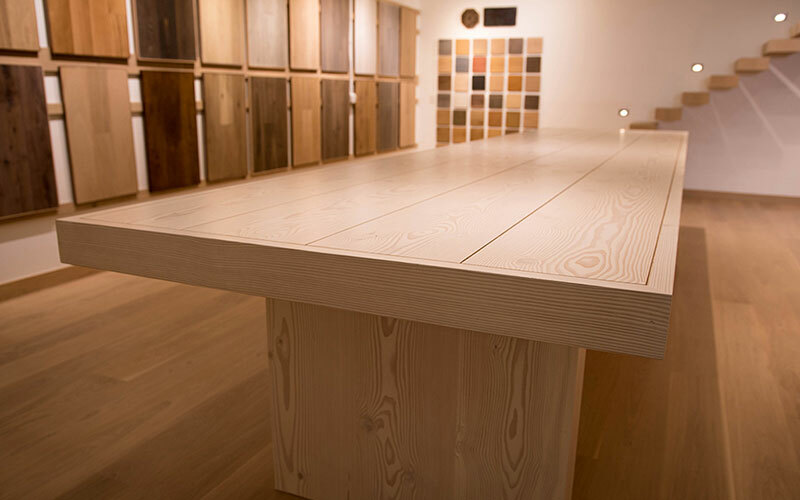 We used water based urethane finish with a natural color tone.